The tailor had cut and given me the central panel and sleeves to work the embroidery. After I finished the pattern, the tailor made it into a tunic. Actually I bought this colour for a stole, but the tunic does not match with the stole now. 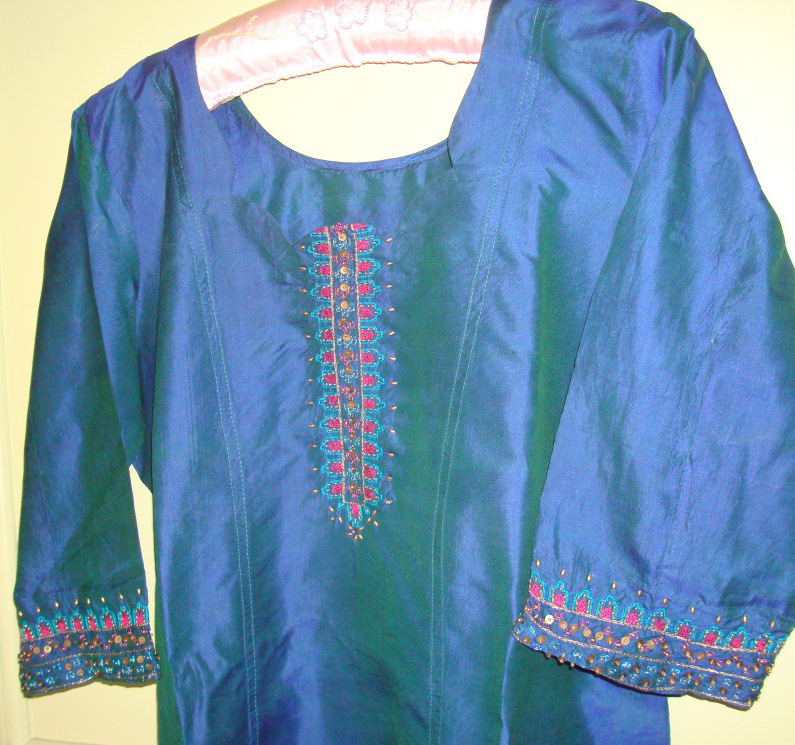 I had worn this tunic with leggings, but I want to wear a pink patiala salwar for this. 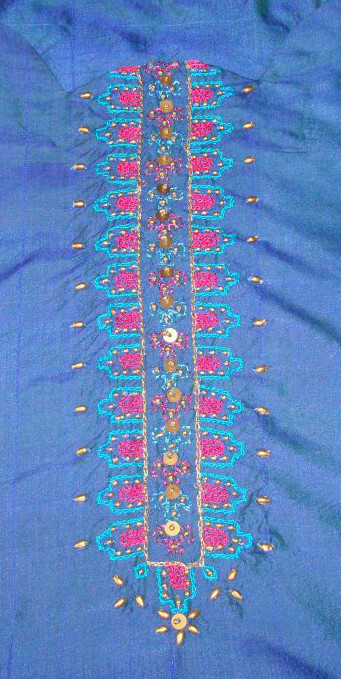 Since the embroidery was done with silk threads, it resembles the aari work done on blouses. The aari work on blouses are more intricate and more number of beads are also worked on the projects. It is fashionable to wear these blouses.